Although the winery was founded in 1953, history shows that this land has been used for cultivating vines for many centuries. The Señorío de Sarría heritage goes back to the 13th century. Located in Puente la Reina, at the heart of the pilgrims'route to Santiago, Señorío de Sarría finds itself in an area that offers excellent climate and soil conditions, enabling a range of top quality wines to be made. 247 acres of numerous varieties are spread out on the slopes and sun-facing sides of Puente la Reina, Olite and Corella. Each plant, each vineyard, each plot receives exquisite care and special monitoring to make great wines from the outset. Each grape variety has been carefully selected in the most appropriate place, taking into account the light, humidity and temperature conditions required in each case. Our philosophy is to give importance to the terroir to obtain grapes of the best quality and in that way make possible the production of great wines. The wines have the capacity to express the uniqueness of our terroir and the characteristics of each grape variety outstand in harmony. Graduate in Biological Sciences from the University of Navarra, and then graduate in Enology from the University of Rioja. I followed my training with a Doctorate at the University Rovira I Virgili in Tarragona, where I obtained the Diploma of Advanced Studies in the research on the “Delestage” technique and the ageing of wine on lees. 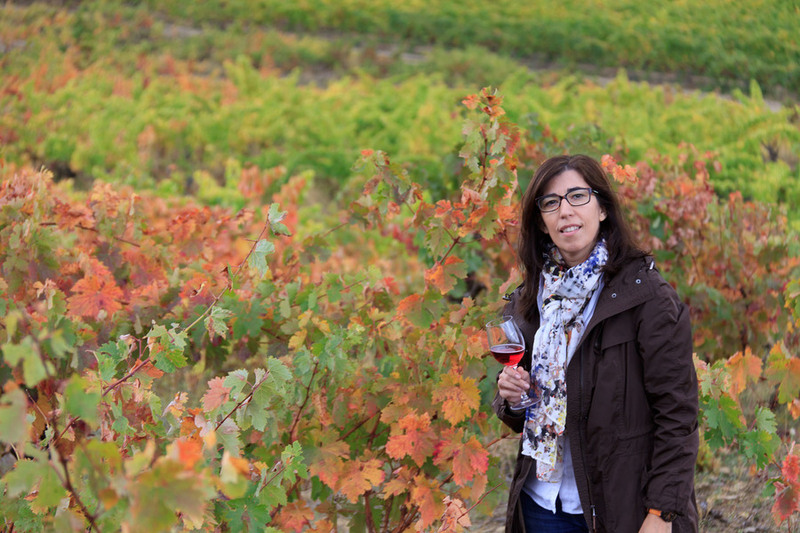 I started my experience in the world of wine at Bodega Vinícola Navarra, where I worked during two harvests, in charge of analytic control in the vineyard and in the winery, during the winemaking, stabilization and fining of the wines. Afterwards in 2001 I started working at Bodega de Sarría in the Production and Quality Department and then in 2006 I became the Technical Director of the winery. Currently after the launching of the new group Bornos Bodegas & Viñedos I also took charge of the Technical Direction of Bodegas Toresanas in DO Toro. For me a good wine is a wine that is able to express by itself, able to talk about the soil, the region and the climate from where he comes, a wine where all the grape varieties combine to form a harmonious whole. To get this harmony you have to work hard from the beginning, taking care of the vineyard month after month, trying to understand the needs of the plant in each moment, so that when the time of the harvest is coming, the vine rewards you with high quality grapes showing a great potential to make a great wine. The care of the vineyard continues in the wine cellar, and it is even more important during the fermentation process. Each vat is controlled individually according the characteristic of the must and the daily requires. However it is important not to act too drastically as the wine is first of all a natural product, made with a spontaneous process that has existed since thousands of years. I always try to keep this natural character of the wine but still using research and experiments that are also essential in all the sides of life.